I worry that I’m getting a bit po-faced with recent Friday Emails so here’s a dispatch on the darker side of yoga’s past. The retelling of the history of yoga makes it sound very clean, meditative, full of devotion, ending up in a simple spiritual life with a refined way of approaching death. Imagine being so pious and profound! Yikes! If you have trouble with piety, don’t worry, you’re not the first! According to William J Broad’s book, The Science of Yoga, there’s an older history of yoga which existed right at the extreme edges of society. Hatha yoga is a branch of much older Tantra Yoga which is not clean, cultured and comfortable. Yoga, he says, was a ‘mystic wonderland’, and yogis were gypsies, circus performers and vagabonds. The more pious were often naked and smeared with funeral ashes to emphasize the body’s temporality. The less pious and perhaps more entrepreneurial yogis contorted their bodies for money, read palms, interpreted dreams, performed live burials and engaged in sexual debauchery under the pretext of spirituality. Some were ‘child snatchers’ who would buy, adopt or steal children. Some formed protection rackets, smoked ganja and ate opium. They were rejects and, as India prepared for Independence, they were the embarrassments of the hopeful country. A British census called them said: “miscellaneous and disreputable vagrants”! Thanks to a clean-up and repackaging of yoga as Independence advanced, our yoga ancestors with the ash-covered bodies, spiritual orgies and general unsavouriness disappeared. Iyengar, Jois and other 20th century names that we know developed not only postural practice but also the therapeutic and scientific approach, the high meditative mind and the agreeable spiritual slant. In our Ashtanga classes, when we chant the opening prayer which gives thanks to all the teachers who passed yoga down to us through the centuries, we also chant to some pretty grubby people! I bought my tickets and I must admit, this is not the usual experience of buying, flying and sliding into blissful asanas! However, Greek islands are such. BA will do the London-Athens-London bit of the journey (There are cheap flights from Ryan Air) and you need at least two hours at Athens airport in between flights. The guys in the Flight Centre say five or six hours. I can’t believe they’ve ever travelled. However, if two hours sounds too tight to you, plenty of people spent a night in Athens and explore the sights for an evening. My London to Athens BA flight leaves Heathrow at 06.55 arrives at 12.40. My Athens to Kythera Sky Express flight leaves at 15.00 and arrives at 15.50. On the way back on the 28th there is an Aegean flight that comes all the way back to London but the transfer in Athens is less than an hour! I’m getting the Aegean 14.50 arriving in Athens at 15.35 and the BA flight back home leaving Athens 19.55 arriving 21.45. The dates are set for September 21st – 28th. Five people have signed up. Come with us! There’s plenty of space next week – plenty! You can see class availability on my website (which I update often). On the week beginning Monday 25th there are no classes. I’m away on my first meditation retreat. Jakarta Post 'Dharma Pātañjala': a compelling look at yoga practices in ancient Bali. A new book ‘reveals that Balinese and Javanese people in former days took yoga very seriously. Yoga was an inseparable part of their love life and their preparation for death’. BBC News has: Yoga in schools has 'profound impact' on behaviour. The classes at Reedham Primary in Norfolk have been aimed at children with a range of special needs, including autism and attention deficit hyperactivity disorder. I did like this article: Richard Hold in the Telegraph with: How I fell in love with hot yoga (even if I can't stand the omming). ‘Most classes have at least one man that has gone a little bit too deep. Topknot, flowy Russell Brand clothes, probably would sit cross-legged in meetings if he had anything as conventional as a job’. Sarah Ramsden, my Yoga in Sport teacher, finishes her workshops by saying that the people who gave us the yoga we practice today, were revolutionaries. People like Krishnamacharya, Pattabhi Jois, BKS Iyengar, Indra Devi and Sivananda took yoga from the vagabonds and outcastes and adapted it politically and physically to spread the benefits of yoga. Sarah suggests that those pioneers would support us in having the same revolutionary attitude of questioning and making postures relevant. It is often said that yoga is widespread, but perhaps we can spread the practice much, much further to every hospital, doctor’s surgery, school, prison and old people’s home. Sharath Jois, who is the ‘holder of the lineage’ and in charge of the Mysore Programme in India, is coming to London in July and I’ll be at his workshops to see how traditional yoga is currently being taught. He describes his job as teaching ‘the proper way’. I wonder if that Proper Way will attract the ‘I-can’t-touch-my-toes’ brigade. There is a staggeringly rich variety of postures; some are impossible and mind-boggling, some feel too simple for anything to be happening or improving. Sri Dharma Mittra is famous for photographing himself in 1,350 postures. We don’t need to do that many or even be particularly devotional. We just need to look after the body and yoga can do that for us. Come and do some of those 1350 postures in the idyllic island of Kapsali this September! The dates are set for September 21st – 28th. The prices are the same as last year (with an early bird period this year) and we are staying in the same fabulous hotel, Porto Del Fino. 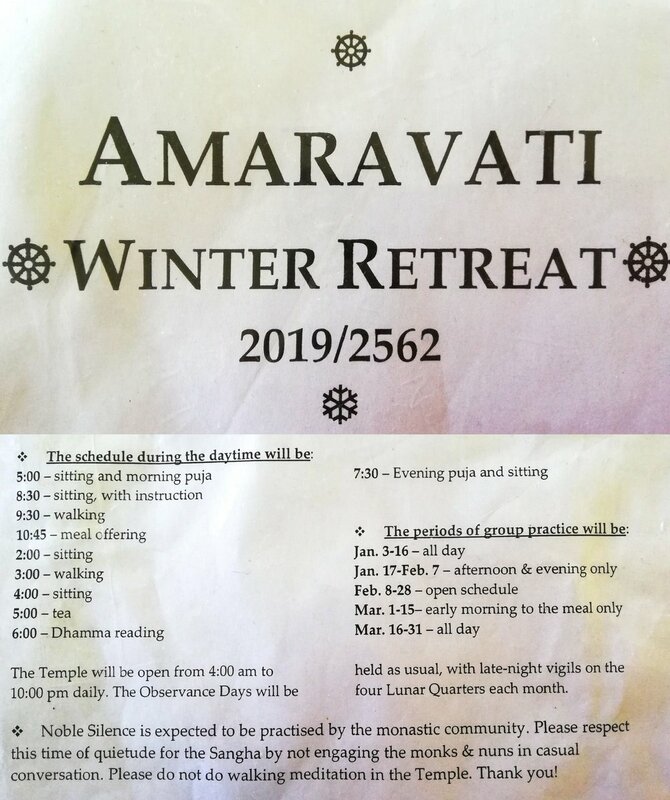 The details of the timetable will be finalised in due course, but we will start every day with an early Ashtanga practice in front of the rising sun, we will have workshops in the afternoon and some moonlit Yin, meditation and pranayama. Write back if you’d like to come. Deposits have already started coming in! There’s plenty of space next week – for now! You can see class availability on my website (which I update often). The latest availability is attached to this email. Triyoga Ealing has an Open Day tomorrow which involves two free classes. (This one isn’t sold out yet). Tonight’s Triyoga Ealing workshop is: Raimonda Richards + Dr Alexandra Melo with Homeopathy and Kundalini yoga to empower your female energy. Thank goodness Good Housekeeping has: Here's Exactly How to Clean Your Yoga Mat. All questions about cleaning your mat are covered here. Keep this article! The Metro gives us: The easiest yoga poses for beginners. Not bad suggestions and some helpful advice that: ‘The only prerequisite for taking a yoga class is knowing how to breathe’. Welcome to Spring! White Rabbits! Pinch and a punch! In the top temperatures of last weekend, I started my training with Sarah Ramsden, Ryan Giggs’ yoga teacher, to teach yoga to athletes. Teaching in many football clubs is what she is known for. Her mobilisation routines seem very fast and un-yogic. This is, apparently, because you have to keep a class of footballers or rugby players moving and busy or they start mucking about. Don’t even think of a meditation session – there may be talking, even fighting! 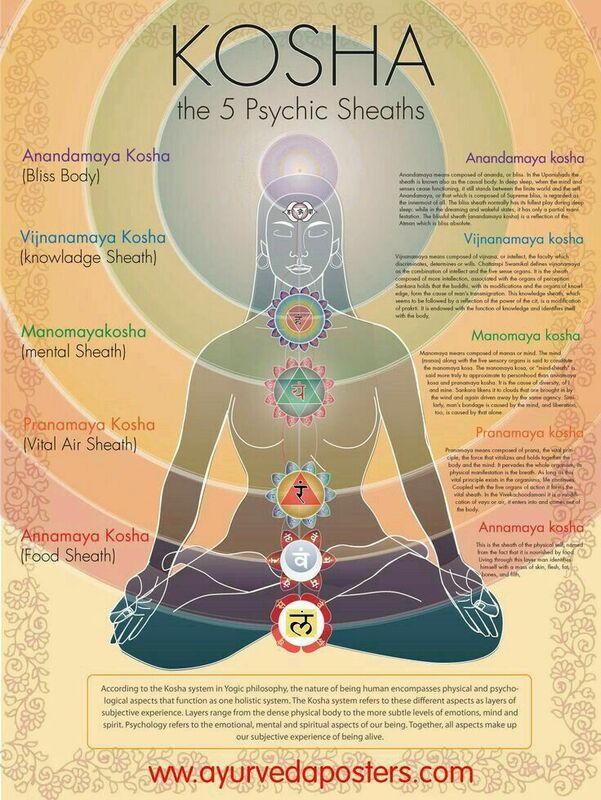 Forget chakras! So, in teaching yoga in football/rugby clubs, yoga teachers have to change mindset completely. No mention of ujjayi breathing which is too complicated; no props which will get thrown around. Instead, we teach to a limited Range-Of-Motion which needs to regain ROM for safety’s sake and for longevity. It’s a good goal and it has wider application than just with athletes. Once you calm down and stop throwing yoga props around, the anatomy of breathing specifically for sportspeople highlights (whaddaya know) how dangerous a six-pack is! An overbuilt, tight six-pack will inhibit the movement of the diaphragm which should push the belly out, stretch the abdominals and gently move and massage the lumbar spine. Breathing should bring a natural, undulating movement to the spine, feeding the discs, bringing fluid and nutrients in and moving waste out. Limited movement of the diaphragm, it turns out, can ruin your stability and bring back ache, utilise the wrong muscles for breathing and, of course, decrease the effectiveness of your breathing! Sarah Keys, in her book ‘Body in Action’, says: ‘If you are tense during sleep and do not relax your muscles the discs will not get back their full complement of fluid, and disc nutrition suffers… (Discs) are slow to break down, and also slow to repair.’ For sportspeople and for the rest of us, relax, destress, unwind, chill, climb down from being Ms or Mr 100%. We’ve had wide-open-window yoga this week due to our summertime snap. I’ve been trying out Sarah Ramsden’s Spinal Articulation Routine and it’s been going down well. There’s plenty of space next week – for now! You can see class availability on my website (which I update often). The latest availability is attached to this email. I’m excited to announce that my teacher, Valentina, is coming to teach with me in Kythera this year on our Kapsali Retreat. Just as exciting is her upcoming workshop in Winchester next Saturday 9th March. It’s all about having fun with exploring unusual arm balances, jumping through and floating up! It’s £35. Come with me! Reuters Health tells us: Yoga linked to lowered blood pressure with regular practice. Participants in this study were ‘middle-aged, overweight women and men who already had high blood pressure or were close to developing the condition’. It’s all good if you include pranayama and meditation. Unintended consequences are the injuries caused by yoga. The article helpfully says: ‘if a person is 70 or 80 and does too many hip-opening movements or hyper extensions, they may develop hip pain’. Happy St David’s Day. Happy Springtime. How Many Yogis Fit On One Mat? I’m reading a book called Functional Anatomy of Yoga! Can you imagine! Thankfully, David Keil, the author, has a refreshing take on the subject. In describing the complexity of teaching yoga to countless types of body, mentality and emotion, he says that we show up on the mat with: our physical body, our genetic history, our Learned (copied) Parental Behavior, our ways-of-being and patterns-of-thought, our activities history from the sports we do (or don’t do! ), our injury history, our nutritional history, our mental and emotional history, and, since this is yoga, our Karma and impressions from past lives. All of this arrives on the mat with us. Blimey! Teachers see these things. It’s easy to spot someone back from holiday all healthy and happy. They hold their face up to the world like a sunflower. On the other hand, a yogi going through a stressful time might barely hear the instructions and stare into the mid-distance. Some yogis show the child that they were decades ago – a playful child or a heavily controlled child. The confidence that comes from being truly loved is beautiful to see. Lack of belief in oneself is in the posture. Depression makes it hard to look up. Constantly fighting with life is in the tension in the jaw. I’ve yet to spot a past life imprint. David Keil says that the point is “to see beyond the body” and see the whole person. Movement is a way for us to know ourselves. Yoga can be a way to undo negative patterns and encourage positive and healing patterns. On the other hand, yoga can be the place where we ingrain damaging emotions and experiences. David Keil says of yoga practice: “Does it not bring up issues of our own determination? Doesn’t it reveal our negative or positive thought patterns? Can’t it even help us overcome the negative ones? The impact that regular physical practice has on the mind is huge”. New Year new yogis are still making their way here; the 2019 fizz is still fizzing! There’s plenty of space next week – for now! You can see class availability on this website (which I update often). Also this weekend, Sri Dharma Mittra is here with ‘A Celebration of Yoga, Teaching and Liberation’ hosted by Indaba Studio and using Lords Cricket Ground. He’s a legend. Time Out tells us that You can do yoga under a giant indoor moon at the Natural History Museum this summer. It’s a class that ‘promises to eclipse other classes! There’s full moon Kundalini yoga and gong bath (£26) on June 17, or the new moon yoga Nidra with a crystal sound bath (£26) on June 3. The New Indian Express says UK's NHS to incorporate ayurveda, yoga soon. The article says that the NHS has begun consultations to prepare a roadmap to incorporate Ayurveda and yoga into the system and has a 10-year plan to promote traditional medicines. Conservative Party MP Bob Blackman, co-chair of the of the parliamentary group in charge of Indian traditional sciences, was in Kochi this week. It’s Valentine’s Boxing Day so I feel compelled to continue the love theme in the hope you’ll take your Cupid heart into the weekend… and on and on! For inspiration, I turned to the teacher whose only theme is love and joy, not precise postures, breath exercises, meditation, austerity or any kind of seriousness! My adored teacher David Sye teaches people to have fun. That’s what the practice is meant to do, he says. If you’re not a more loving, kind person because of the practice, you’re doing it wrong. His teacher, Clara Buck, demanded that he practice yoga to be a better human being, not a better yogi. She said: the level of love and kindness and adventure we give ourselves is the level at which the body is going to give back. ‘Unless you love this body it will kick you out’. It’s ok in your 30s, 40s and 50s but when you start hitting your 60s and 70s then you see what you’ve laid down in your body. If it’s cruelty, it will bite you back. She taught him to trust love because it’s the one thing that ‘turns the mundane into the miraculous and then the miraculous becomes continuous’. After February’s Valentine fizz comes Spring’s Hayfever season and then, after we’ve used up all the tissues, it’s Kythera retreat time where sore, city noses can breathe in Kapsali’s clean and healing air! I think there’s a bit of travel uncertainty, so I’ll just hold one retreat, the Ashtanga retreat, in the second half of September and find a UK venue for a more general retreat. If you haven’t done so already let me know if you’d like to come to Kapsali. Then I’ll write to all of you separately. Last weekend my lucky Home Studio hosted Andy Gill and his all-day Teacher Development Group workshop. It was the kind of training and support a teacher thirsts for: new approaches to postures and adjustments, discussions about the role of a teacher, how to support students while setting boundaries and how to manage teacher/student relationships. Then, on sunny Monday morning, another Home Studio yogi baby was born. Welcome to Kit, whose spectacular mother I taught through the pregnancy and whose brother was the first Good Times Yoga baby! And, finally, red roses shone their special magic on the Valentine’s class where we explored some of Any Gill’s postures. Bring your magic next week! There’s plenty of space. You can see class availability on my website (which I update often). The latest availability is attached to this email. Tonight I’m going to Charlie Merton’s ‘ mantra, mudra, pranayama, asana, meditation and nada yoga (the yoga of sound)’ at Triyoga Ealing. I feel like a Gong bath! Come with me! The Evening Standard has: Why hitting the yoga studio will help you lift weights better. ‘“It’s all about making sure the joints are protected and balanced,” says Dyl Salamon, the man behind Gymbox’s Yoga for Lifting class.’ (Gymbox is opening in Ealing and we need to give this a go!) Salamon says: “If you’re constantly fighting against stiffness or injury, you’ll never achieve your maximum potential” and “to feel truly strong, he says, you should aim to hit the yoga studio twice a week — at least”. The Courier tells us: Want to improve your golf game? It’s time to take up yoga. The paper tells us why they are such good candidates for (proper) yoga: ‘A common issue with golfers when it comes to training is the fear that they can’t become stronger as they’ll lose flexibility’ which will affect their golf swing. Yoga is about both incredible strength and amazing flexibility! Having a fractured wrist has been my great teacher since December 1st! Whenever a set-back comes along, it shines a new light on postures and gives me added knowledge to pass on to injured souls in classes. In any case, at some point your wrists may need some attention. Keyboard warriors and people who use their hands in their job or sport (cyclists) may have short and tight wrist flexors. Chaturanga, Upward Facing Dog and other weight-bearing postures need flexibility in the wrist – a 90 degree extension. This is problematic! The posture revelation for me and my ‘intra-articular minimally displaced distal radius fracture’ (!) was in Padangusthasana and Padahastasana. Those are the forward fold postures where you start with holding your big toes and end up with the whole of your hand under the foot with toes up to the wrists. Who knew these postures could be something more than Total Hamstring Torture? In the first one, Padangustasana, you grab hold of your big toes and PULL, despite the hamstrings begging for mercy! That’s a wrist stretch. For people with wrist pain or Carpal Tunnel, traction of the wrist might correspond to an exercise your physio has given you. (Here is wrist traction cleverly using a belt). In the second of this pair of postures, Padahastasana, the hands and wrists get a counter-posture for the Chaturanga wrist work of the Sun Salutations. This posture has wrist stretch/traction, massage via the toes on the wrists, and stimulation of the meridians (I’m told) or hand reflexology. To get the full benefit to the wrist, let the hands totally disappear under the foot. Bend the knees if you must. Soothing Kapsali awaits but before I firm up details of this year’s retreat please let me know if you’d like to come for the first week’s Yoga For All Levels retreat. I’m not sure if there is demand. The second week’s Ashtanga Retreat has had a lot of interest; the massive pull factor is our mission impossible teacher Lisa Maarit Lischak. I plan to choose the second and third week of September again. Have a look at last week’s email if you want to see an example of flights. Many returners sign up yearly but if you haven’t been before, “Kythera is a truly divine, special place”, said one yogi last year. Last year there was a particular magic when we did evening candle-lit Yin Yoga so I’ll add more of that this year. Next week in my lucky Home Study is a magic week. It starts with my 7th anniversary of teaching and ends (Thursday) with Valentine’s Day. What could be better? There’s plenty of space. You can see class availability on my website (which I update often). The Daily Mail tells us that: Yoga could help millions of arthritis patients. A study of 72 sufferers, published in the journal Restorative Neurology and Neuroscience, ‘found the ancient exercise slashes inflammation and reduces pain in the joints of sufferers after just eight weeks’. The paper says that ‘Scientists are currently unsure as to the exact cause of rheumatoid arthritis, but smoking, eating lots of red meat and coffee drinkers are at higher risk’. This week an article called Characteristics of Yoga Practice and Predictors of Practice Frequency captured my interest. The article is from the International Journal of Yoga Therapy and the reason for the study is to understand ‘practice behaviors’ to ‘better enable health providers to implement yoga for health’. Good so far. They found that the least frequent place of practice was at work (that’s got to rise!) and the most frequent was the yoga studio. However, most of the people they surveyed (61%) had a regular home practice and, of those, roughly half followed a routine taught by someone else and half made up their own practice. That’s a really high number! Not many people (1.6%) had private classes and a tiny amount (0.6%) used a dvd at home – incredible given the sales in yoga dvds and apps. I can’t help thinking that the outcomes would have been fascinating if the survey had been taken in India, not America. Yoga therapy in India is taken seriously and has a long history, longer than yoga for sport or pastime or fitness. (To pass his ‘teacher training’, Pattabhi Jois had to cure a sick person with yoga.) However, this survey is looking for answers for health providers. If group classes come out on top then perhaps doctors’ surgeries need to become venues for yoga therapy classes! That waiting room, after hours, can host a class! Yoga for health is something very different to what we find in gyms or studios. 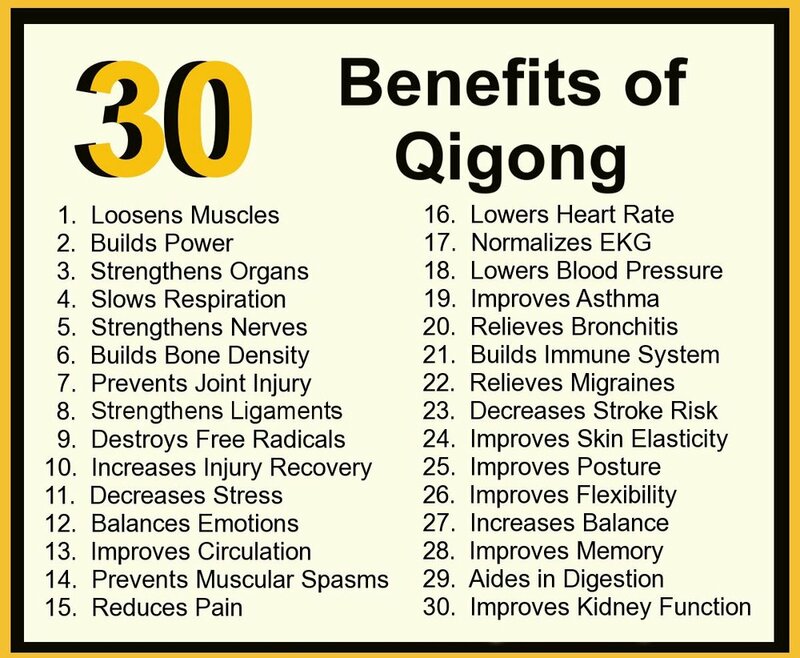 Here’s a list of 101 different health conditions that can benefit from Yoga from Dr Timothy McCall who wrote Yoga As Medicine. People don’t generally go to a happy, skippy gym or studio class hoping to combat alcoholism, obesity, Guillain-Barré Syndrome, cancers, PTSD, Psoriasis, Kidney failure, Parkinsons... - Dr McCall's list is mind-blowing. Getting back to your home practice, here’s something for you. The totally free method, online video at home, came up with 2.9% in the survey (which doesn’t explain the popularity of Yoga with Adriene – people love her). Here are another couple of videos to try to inspire you: David Swenson 30 minute practice with his beguiling voice; Kino Macgregor’s Half Primary Series, Power Yoga, Mark Gonzales which will work up a sweat for you. Come to class! Come and be inspired. Come with health issues and I’ll see what I can do. You can see class availability on my website (which I update often). Prince Charles funds yoga and meditation for young prisoners the Telegraph tells us. He wants to restore “hope and positivity” behind bars and so has given a grant to the Prison Phoenix Trust whose project is to bring harmony to young offenders through yoga. £5,000 was granted to yoga; £37,000 to the Bumblebee Conservation Trust; £118,000 to Oxford Plant Sciences. The independent has Plus-size woman becomes yoga teacher after noticing lack of diversity among instructors. The Californian teacher says ‘she is the healthiest she has ever been, just wants to help and inspire other people to exercise and feel confident through yoga’. The London Post gives us FREE Yoga Classes at Boxpark Shoreditch. A French yoga company, Baya, is hosting a pop-up yoga shop from January 15th-21st and offering free classes on the 16th and 20th. Are you trying Veganuary or Dry January? Are you harnessing the magic energy of the New Year and taking the plunge? I read that February this year will see the British Heart Foundation’s Dechox campaign– you give up chocolate for the shortest month of the year! In March, Lent will begin on the 6th so you’ll need something else to forgo till April 18th. We can think about the other months later but caffeine will need to claim one of the subsequent months! Pairing down wants and needs and navigating the way towards essentials means that treats are all the more appreciated in an uncluttered life. I am particularly interested in Dry January since I heard this week of someone being refused a pay rise at work because, HR said, they provide ‘Beer O’Clock’. I couldn’t help thinking that promotion of drink at work and pressure from an employer to drink has an unsavoury past. History finds many examples of rulers who created a pliable workforce and increased tax revenue by promoting taverns and liquor licences. My mother’s father was a member of the Temperance Movement in Ceylon and Hansard in 1912 records how ‘minor English officials’ harassed members of the movement (which became the independence movement!). Under apartheid, the ‘dop system’ was one in which employers pay their labourers with cheap wine, kept them addicted, dependent and loyal to the farm or vineyard. Try it for January! It’s more radical than you think! Yogis are working hard in the first classes of the year. It’s a total pleasure to see the little Home Studio full of hard-working yoga practitioners. There’s plenty of room next week. Come along. You can see availability on this website. The Observer in Uganda has: How yoga is saving lives of street kids. In the largest slum in Uganda an American started yoga classes, picking up children from the slum area and from the street for yoga, a hot meal and protection from police raids. Season’s Greetings! I hope you had a nice time this week. Just a few days of not teaching and I miss you! However, it’s so important to take time off to rest and reflect. It’s what makes the New Year the right time for resolutions and aiming for a higher version of yourself. Not for nothing people try to stay dry in January (alcoholically speaking) and Veganuary has been going since 2014 and looks like it’s here to stay. Here are some non-alcoholic drink recipes and/or, for Veganuary, you could join me for a cooking course by Yuuga Kemistri. And if you live in East London you have your very own M*lkman doing rounds with his nut-milks of joy. What about a yoga resolution! Do you need one? Just enjoy classes! Maybe you could try a class you wouldn’t normally take. Triyoga has end of year special packages: 5 class festive pass for £65 (£13 per class) 8 class festive pass for £96 (£12 per class). Try something different! I’m really looking forward to starting up again next week. Only two classes next week; the Ashtanga classes on Wednesday and Thursday. Updated bookings and spaces left can be seen on the booking page of this website. I’m signed up for a few things this year and I hope you’ll join me. Teaching Yoga in Sport is a course that takes place over six weekends over the year with Sarah Ramsden. In February you’ll find Day Christensen in Winchester. She’s a favourite teacher of my friend Lisa and you can register interest here. I’ve signed up of Ty Landrum in April at Triyoga. Whatever you do, try a workshop. This is one for cricket fans. Sky Sports tells us: Cameron Bancroft 'nearly quit cricket for yoga' following ball-tampering ban’. He says: ‘"Until you are able to acknowledge that you are Cameron Bancroft, the person who plays cricket as a profession, and not Cameron Bancroft the cricketer, you will not be able to move forward.’ How yogic! Are you ready with your New Year Resolutions? Get your ideas together so that you can get excited by them. Yogis are great at resolutions. We know exactly how to set our focus and intention. I found my main resolution for next year when listening to an interview about the recent climate conference in Poland. The studio guest said that he converted from shower gel in plastic bottles to bars of soap. I’m stealing that idea. I can’t even remember why I stopped using bars. I’ll also add laundry liquid refills to my resolution list. I keep meaning to make meditation a more regular practice but I hesitate to make it a resolution in case I fail to keep it. 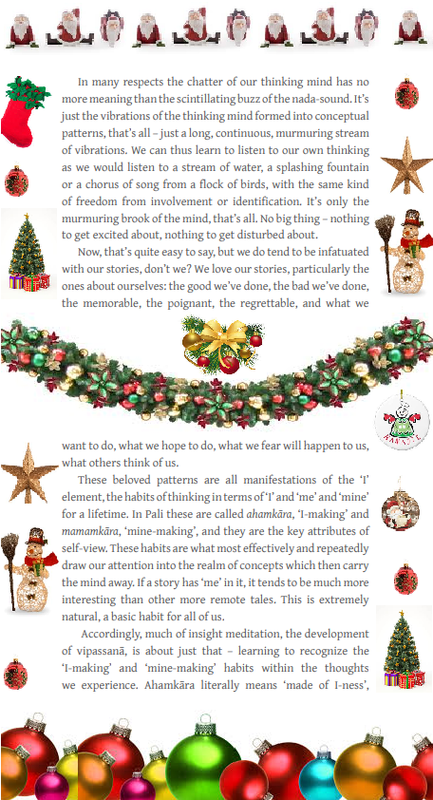 I’m adding it this year because a cure to my hesitation came when I read a booklet by Ajahn Amaro, Abbot of Amaravati Monastery called ‘Inner Listening’ (downloads and pdf here). Maybe this little extract and the one attached will spark your interest. Inner listening “refers to attending to what has been called ‘the sound of silence’, or ‘the nada-sound… a high-pitched inner ringing tone. When you turn your attention toward your hearing, if you listen carefully to the sounds around you, you’ll hear a continuous high-pitched sound, like a white noise – beginningless, endless – sparkling there in the background. See if you can detect that gentle inner vibration... We can use it, just like the breath, to dominate our attention”. I have to tell you, when you first hear that shimmering silvery sound, it’s magic and there’s a feeling of a voyage-of-discovery about to begin. It’s about time I made this resolution! Can I tell you what a joy it is to teach you here! It amazes me how lucky I am that you come week after week or that new yogis pitch up for a class after a Google search for yoga in Ealing. What everyone has in common is that they want a small class. Hurray! And it’s always a joy to teach you. However, the studio turns into a bedroom and playroom for the Christmas week and there’ll be no classes till 2019. Classes are booking up for the first week in January. There are classes on the Wednesday 2nd and Thursday 3rd. You can see what’s available on my website. Also attached on this email. Valentina’s last Aerial Yoga class of the year is tomorrow, Saturday 22nd, at 10.30. I’ll be there to do my assisting session which is part of the course. Come along. Book here. In 2019 I hope you’ll join me for some classes and workshops with the phenomenal teachers who come to this country and give us the best of their years of learning and teaching. It’s always such a joy to train with David Swenson or discover phenomenal teachers like Gregor Mahler. London is a blessed place to be a yogi! Yoga exponent Geeta Iyengar, daughter of B.K.S. Iyengar, passes away, reports the Hindu. Happy Christmas, Happy holidays, Happy Kwanza, Happy Eating with loved ones. It’s time to think about Christmas Presents. There is usually a funny top you can get someone. Here’s a Namasleigh T-Shirt! Here’s a Namasleigh sweater and lots of other top ideas there. For Christmas leggings there are lots of ideas here. I might have to succumb to that website. Back when we were in Kapsali on retreat I made a mental note to tell you how important a heavy mat is for outdoor practice! A light breeze turns a light travel mat into a flag. I have four sturdy mats in my home studio for sale at £55 - the LOVE MAT by Lāal. They’re similar to the Liforme mat but half the price! On the other hand, if you do want a beautiful mat topper, Destination Karma’s mats feature inspiring scenes from Bali, The Greek Islands, and Cornwall and other gorgeous places. The company also donates a percentage of profits to charities from those countries. You can also design your own. If you want to try the Destination Karma mat, let me know and you can use it here. I have a beautiful one that reminds me of Kythera. Some classes next week are filling up fast but Tuesday 6.00 and Wednesday 8.00 are crying out for yogis as people start going away or skipping yoga for office parties! Can you imagine! You can see whats available on my website. I’m half way through Aerial Yoga teacher training and I have to recommend that you have a go; you will find that it compliments mat yoga and works muscles that you can’t possibly use on the mat. If you don’t know what aerial yoga looks like, there’s a ‘hammock’ from the ceiling, pegged to the ceiling at a little more than shoulder distance apart and the material falling down to your hip level. First of all, there’s a lot of joy in the practice, from floating in the hammock, from giving your weight to the hammock and moving with speed and grace and lightness. Everyone can achieve inversions. It’s a democratic practice; there’s no drama, no-one has to move their mat to the wall, everyone can do a handstand and get the benefits of lengthening the spine. Valentina’s last class of the year is on Saturday 22nd. I’ll be there to do my assisting session which is part of the course. Come along. Book here. Today is the centenary of BKS Iyengar’s birth, 14 December 1918. Newsd celebrates the day with: BKS Iyengar: The Father of Modern Yoga and says ‘we bring to you some lesser known facts about the yoga guru’. The paper claims this: ‘he taught an 85 year old Queen Elizabeth to stand on her head’. For a while now I have been starting my Friday 8.30am Ashtanga class at Eden Fitness with 10 minutes meditation. I know some find it really hard and some love it. Some think we’re not really doing anything and some come in late and noisily. (Better to wait outside, I think.) I found this great You Tube called Debunking the 5 Most Common Meditation Myths by Light Watkins. I think he might help us all persist with the practice. Light Watkins concludes that meditation repairs some of the wear and tear on the body and brings orderliness and efficiency to the mind. Meditation will cultivate inner peace and happiness and that’s what you in turn put out into the collective consciousness. I will add that yoga practice is meditation! Teachers introducing a new practitioner to meditation will tell them to watch the breath! Hmm! Sound familiar! Some yogis in my lucky Home Studio are making the trepidatious move from Stretchy Yoga on Mondays and Tuesday to Ashtanga Yoga on Wednesdays and Thursdays… It’s going down well! Some are doing both. Come and have a go! Half the classes next week are fully booked, half are not. You can see what classes are available on my website. Also attached on this email. If you missed David Swenson last weekend, he’s in Cambridge for a Sunday evening class this weekend. It’s a privilege to know him and learn from him. Tomorrow morning I’ve booked Aerial Yoga, 10.30-11.30 with my teacher, Valentina Candiani at COCO YOGA - 1 Dalling Road, W6 0JD. Come with me! Next weekend she starts her 40hrs Aerial Yoga Teacher Training which I’m signed up for. It’s the only Aerial Yoga Teacher training in the UK for Yoga Teachers. Come with me! Eurek Alert publishes this press release which is widely covered today: £1.4 million grant to research benefit of yoga for people with multiple chronic health conditions. Northumbria University will study the clinical effectiveness and cost effectiveness of a specially-adapted yoga programme for older adults with ‘multimorbidity’ - two or more long-term health conditions. Two thirds of people over the age of 65 in the UK have multimorbidity and account for 70% of NHS expenditure. Last weekend at Amaravati Monastery in Hemel Hempstead was the celebration called ‘Kathina’. It’s a robe offering ceremony and the day sees enormous generosity from the lay community and mountainous donations of necessities for the lives of the nuns and monks. 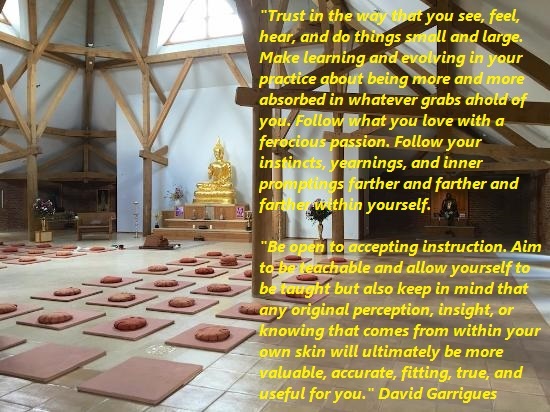 I asked Ajahn Amaro, the Abbot of Amaravati, how to write about Kathina and relate it to yoga. He told me that the word Kathina actually means frame on which cloth to make the robe is made. To make a robe in the Buddha’s time, his disciples collected bits of cloth from rubbish piles, cemeteries and any other discarded fragments they could come across. The Buddha asked his first disciple, Ananda, to arrange the pieces of cloth in the pattern of the paddy fields of Mahavagga which were divided into short pieces, rows and boundaries. Robes are still made in this pattern. Ajahn Amaro tells me it’s the oldest style of dress still “in fashion” after 2,500 years. Does this relate to yoga? Well, the Buddha was from Yogi times. He was a yogi. Yogis inhabited the outskirts of society and scavenged cloth for clothing. The Buddha determined on making something beautiful out of something unpromising. I feel completely like that with some postures! This’ll never happen, I think, and then the posture comes only because of the strong framework that supports our practice, the breath. It’s the framework on which we pull all the pieces, all the postures together. Kathina can also be translated as ‘difficult’ which reminds us that our practice is not easy. Kathina is also about tremendous generosity and we’re coming up to Christmas, a festival of generosity. (Imagine a life with no provision in our calendar or in our culture to celebrate giving!) Generosity does us good. It will debilitate those self-defeating qualities such as selfishness, greed and lack of compassion and therefore can only strengthen us. The more we practice generosity, the more we can meet the more demanding acts of self-sacrifice that life demands. I’ve been teaching some Iyengar stretches. I have to admit, I’m not sure Iyengar himself would recognise them but I fashioned an Iyengar-style fixed rope. I’ve attached some of the stretches used in a pregnancy class. You don’t need the bump to give them a go. You can see what classes are available on my website. Also attached on this email. David Swenson sessions start tonight and last all weekend. See if there are any spots left and come along! The Centenery of BKS Iyengar’s birth is coming up. On the 14th and 15th of December at the Iyengar Institute there will be two events: a ‘100 Asana Practice’ interspersed with readings and poems by or about Iyengar and an evening of music, dance, song and storytelling. The Times asks the most important question of all: ‘Will your bum look better in £200 leggings?’. Whereas yogis in ancient times scavenged for scraps of cloth, The Times tells us in tabloid-hyperbole that: ‘in the workout world there is nothing that tells you more about a woman’s fitness ethic than what is worn on her legs’. There is apparently ‘legging rivalry in New York’s gyms’. The Evening Standard tells us: Black Friday 2018: The best fitness class deals in London this year. There are some good deals here – even a couple of free offers. firstlightcycle.co.uk. in Westfield looks good as does bloklondon.com in East London.